A 9-year-old Middlesex Township boy is on a mission to change the world one life at a time.And he isn’t limited to just helping people. 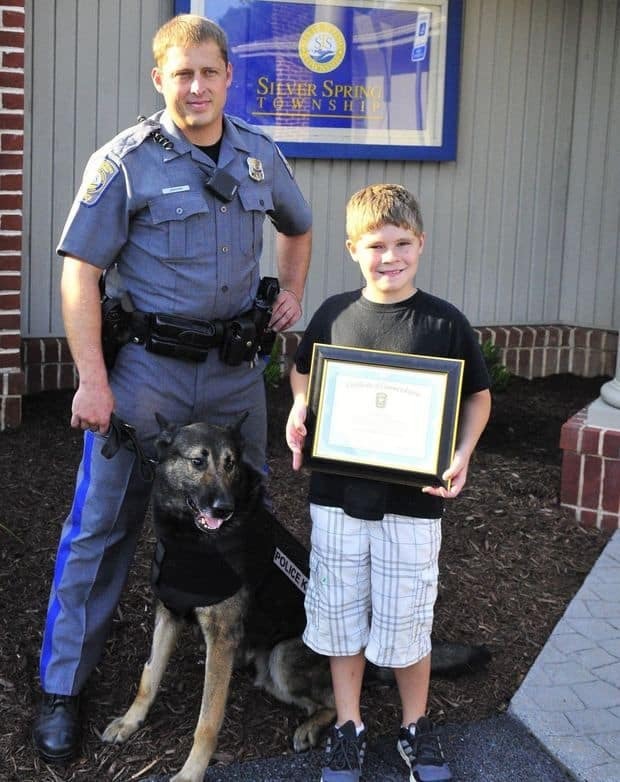 Through his increasingly popular lemonade stand, Shane Thompson raised $842 toward a bulletproof vest for one of Silver Spring Township Police Department’s finest: Bruder, an 8-year old German shepherd/Belgian Malinois mix. Bruder’s handler, Officer David Jenkins, thanked Shane for his efforts.”We all have ballistic vests, and now we can keep our doggie safe, too,” Jenkins said.Since 2012, Shane has raised hundreds of dollars for a local boy who contracted a rare form of meningitis, Carlisle C.A.R.E.S., Project SHARE, St. Jude Children’s Research Hospital, and other organizations. Born premature, Shane thanks God that he is now healthy and strong, and he wants to make each moment count. 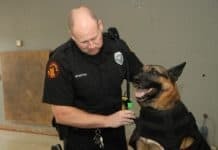 While volunteering with Project SHARE, Shane said he learned about the need to provide a bulletproof vest for police dogs, so he set out to look for one near his home that needed one. That’s when he found Bruder. On May 2, he set up his lemonade stand in his driveway and began selling for the cause.The one-day event raised $842. Shane said he sells the lemonade for $1 a cup, and because they’ve made so much of it, following the recipe is second nature. “Now we have it memorized,” he said. Sgt. Leroy Hippensteel, currently serving as the officer in charge for the Silver Spring Township Police Department, said Bruder is just like any of the police officers — entering potentially dangerous situations.”He’s an officer as well,” he said. Previous articleHow To Choose Your Concealable Body Armor?